Home Social & Web web What is an Algo-Trading? This a very basic question for us, so we will try to understand in detail. It is a process of trading, where technology comes into play to generate maximum profit, which is out of reach from humans. And to do so it uses computers programmed to follow a defined set of instructions that is an algorithm. The defined sets of rules are based on timing, price, quantity or any mathematical model. Apart from profit opportunities for the trader, Algo-trading makes markets more liquid and makes trading more systematic by ruling out the impact of human emotions on trading activities. 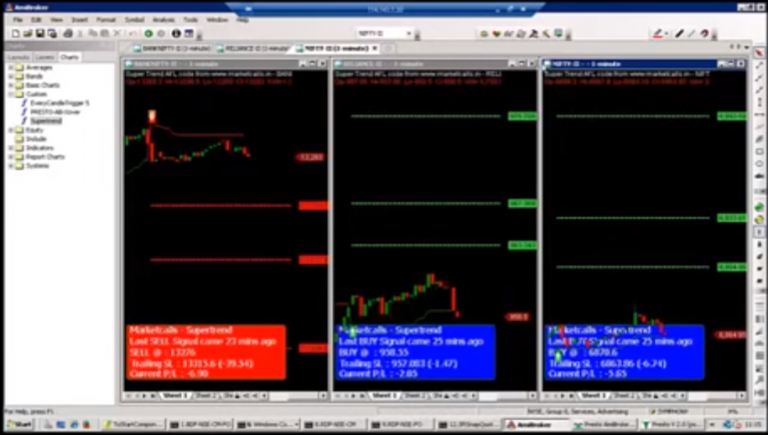 Using this set of two simple instructions, it is easy to write a computer program that will automatically monitor the stock price (and the moving average indicators) and places the buy and sells orders when the defined conditions are met. The trader no longer needs to keep watch for live prices and graphs, or put in the orders manually. The algorithmic trading system automatically does it for him, by correctly identifying the trading opportunity. What are advantages of Algo-Trading? What kind of Algorithms would be used in Algo-Trading? Momentum investing looks for the market trend to move significantly in one direction on high volume and join the parade. Investors try to ride the “hot stocks” and sell the “cold ones”. Stock prices can surge suddenly, and continue to rise when people try to reap profit from the upward trend. This stems from the rate of information release and people’s herd mentality. An insider (including executives, suppliers, stakeholders) may have information on a company and share it, causing the stock to move. As the news cascades, the price is driven up while more traders hear of the news and the news cascades through all the channels. A simple example of this strategy is to buy a stock when the recent price is above a moving average and sell it when it’s below the moving average. A simple strategy is to rank the sectors and buy the top stocks when their trailing moving average exceeds a threshold. Mean reversion investors assume that the price of the stock will over time revert back to its long-time average price. They use stock price analysis to determine the trading bounds of statistical significance. If the stock is trading significantly above the moving average, they will short it. On the other hand, if the stock is trending significantly below its moving average, they will buy it. Valuation strategies use fundamental analysis to identify stocks trading at a discount (or premium) and buy (or sell) them accordingly. Investors determine the fundamental value of the stock and compare to its market price. They scrutinize companies’ financial statements for the revenue, gross margin, operating cash flow, EBITDA, pro forma earnings to name a few. In a simple example, investors can use the price to earnings ratio as a proxy for value where low P/E looks ‘cheap’ and high P/E looks ‘expensive’. They can continue to rank a universe 1-100 based on the P/E ratio and take either of two positions: Long only or market neutral. In a long-only strategy, the investor buys the bottom decile, which is the lowest P/E segment. The market neutral strategy will buy the bottom decile while simultaneously selling the top decile. Investors create strategies that depend on the time of year. It’s well documented that markets tend to have better returns at the end of the year and during the summer months, while September is usually a month with lower returns. In order to avoid capital loss, some investors choose to sell their positions with losses at the end of December to benefit from tax leniency. In January, investors return in triumph and purchase small-cap and value stocks, driving up their prices. Stock prices also trend differently around holidays and quarter close periods. A simple strategy is to buy and hold equities (SPY) from October – April and then rotate to buy and hold bonds (BSV) from May – September. Sentiment Analysis trading derives from crowd psychology, where investors stay up-to-date on recent news and purchase stocks predict the crowd’s reaction. They attempt to capture short-term price changes and reap the quick benefits. Investors may monitor sources including Google search trends, media outlets, blogs/forums, and Twitter posts. This is a way of evaluating the true intrinsic value of a stock by examining macro-level factors such as economic indicators, industry and sector comparisons, and analyzing company’s financial statements. The calculations derived from real data attempt to model the stock’s true value, which is then compared to the stock’s market price – driving the decision to buy or sell. Example data points for fundamental analysis include companies revenues, earnings, future growth, return on equity, and profit margins. This method examines past market activity for changes in the stock’s price and volume, believing that historical performance is indicative of future results. Investors use charts, statistics, and other tools to discover patterns in the data to predict future price movements. This style of investing does not analyze the intrinsic value of the stock, but rather the future movement of the security. Is there software available for Algo-Trading? This is a question that who will write programs for these algorithms? For Algo-trading there should be some available software. So we are listing some of the top applications used for Algo-Trading. A premier platform for trading algorithmically. Capable of executing several strategies like basket trading, order slicing, 2L and 3L Spreading, the platform is quite versatile in its operation and empowers brokers to trade across various asset classes like Equities, Derivatives, Currency and Commodities. Nest Plus is an automated trading API provided by Omnesys and allows trading in semi-auto mode to retail clients and full-auto mode to sub-brokers. 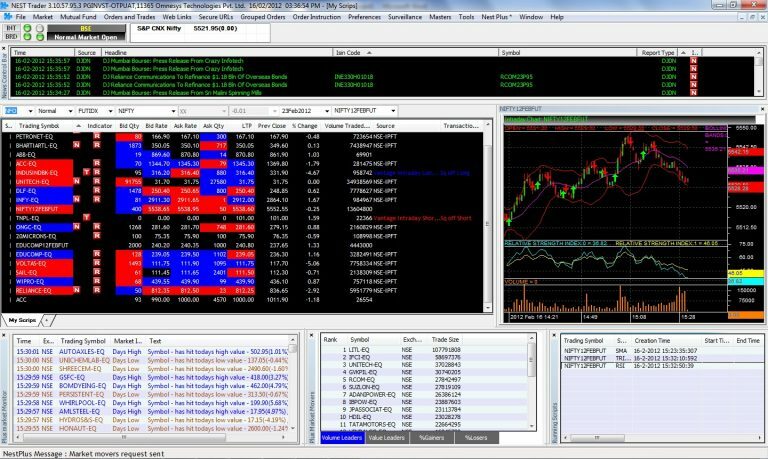 The trading terminal can be customized to include Market Watch, charts, or news control bar. read more about Omnesys Nest. Developed by Symphony Fintech, Presto ATS is a versatile and one of the most popular algorithmic trading platforms for automated trading in India in nearly all asset classes. Operational in three modes such as live trading, paper trading, and Back Testing, Presto is FIX enabled and has a host of APIs to be connected to the Indian exchanges. The options are varied for APIs as they are available in Java, C#NET, and in HTML. Used extensively by institutional brokers, it is gaining popularity among the retail clients. The cost of licensing the software for an annual subscription is Rs. 25,000 with the option of single and multi-trading accounts. read more about Presto ATS. There are many more applications available and the list can be very long to be concluded . The main motive of writing this post here was to make aware that finance and technology can create a new dimension. And we will come up with few more posts so please subscribe our YouTube Channel. You can also search for the latest tech news and follow us on Twitter, Facebook, and LinkedIn.